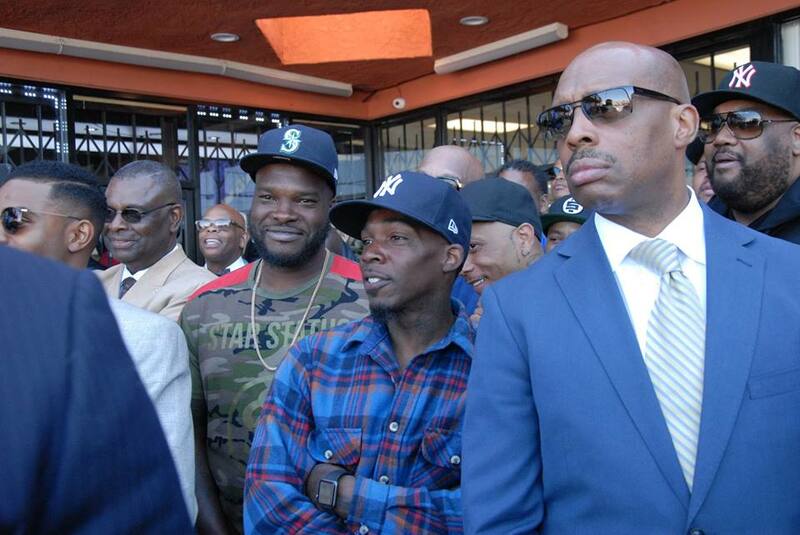 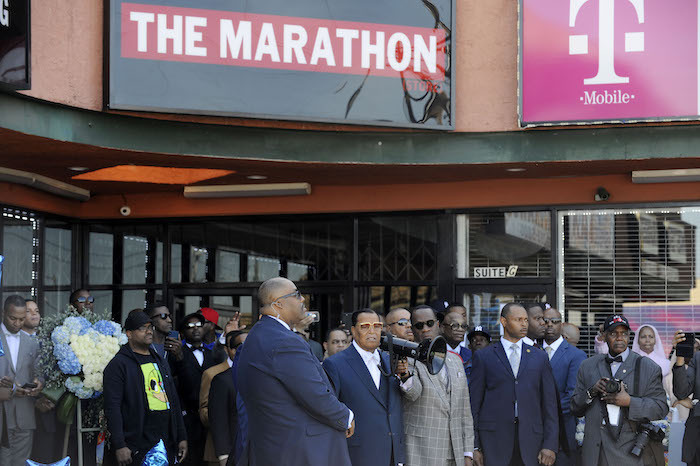 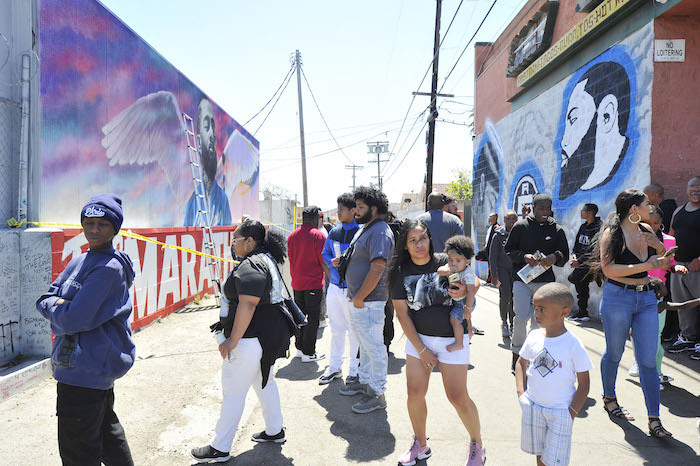 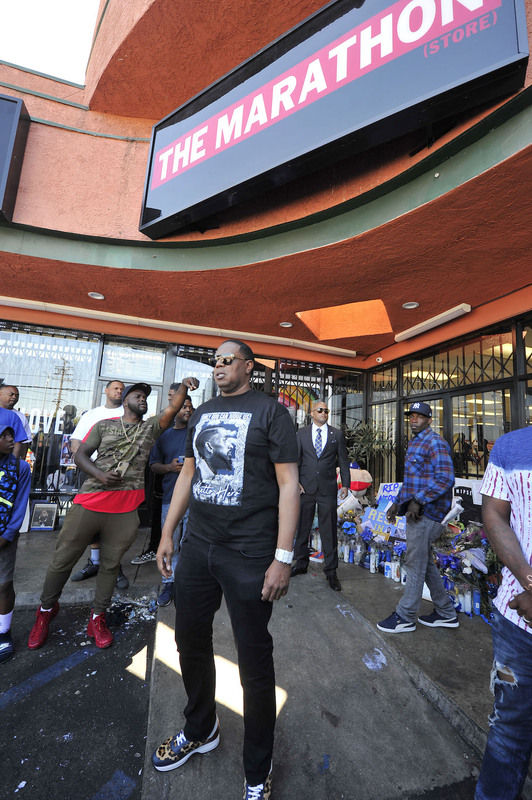 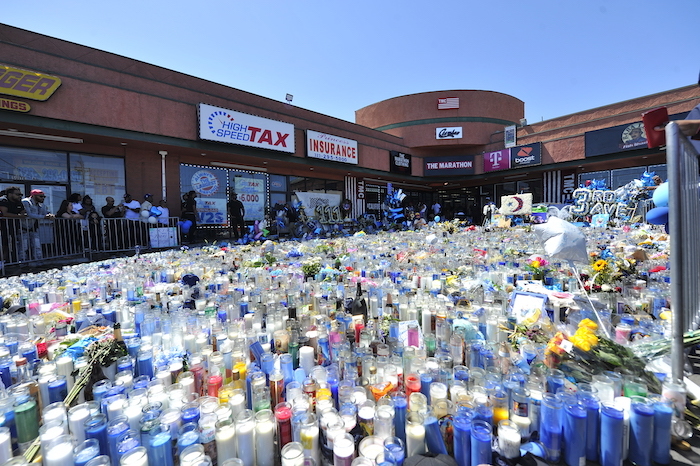 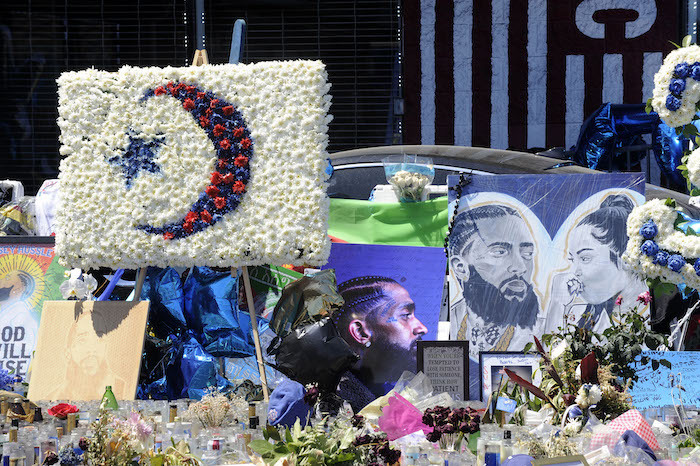 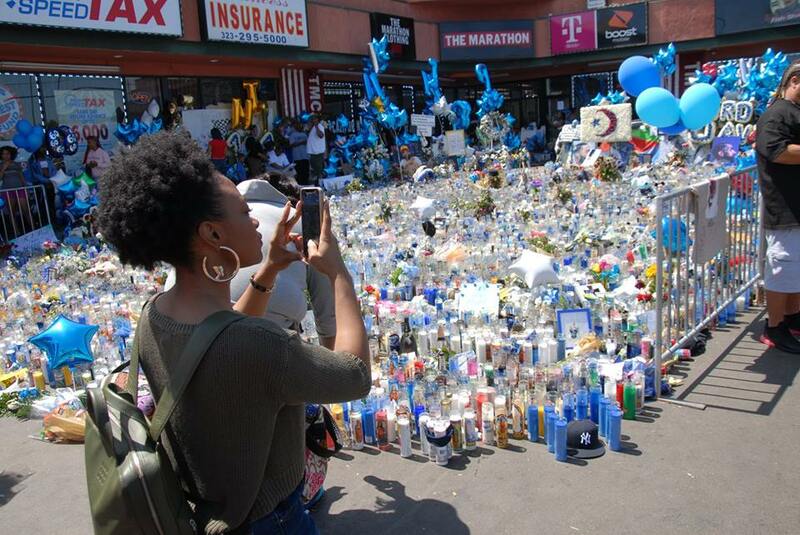 Nation of Islam Minister Louis Farrakhan paid his respects to the late rapper and entrepreneur Nipsey Hussle at the memorial outside of the hip hop artist’s The Marathon Clothing store located in South Los Angeles. 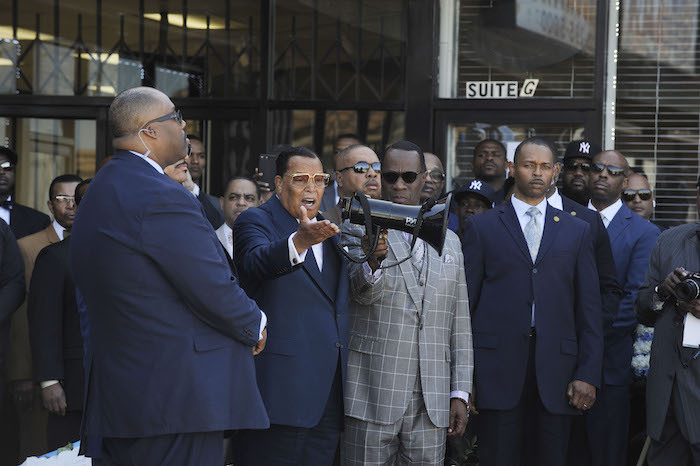 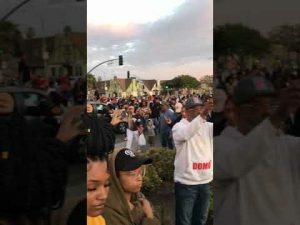 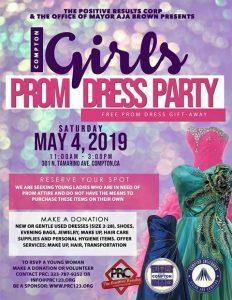 Flanked by Min Tony Muhammad, his Los Angeles representative, the Minister spoke to the crowd assembled in the parking lot for about 15 minutes. 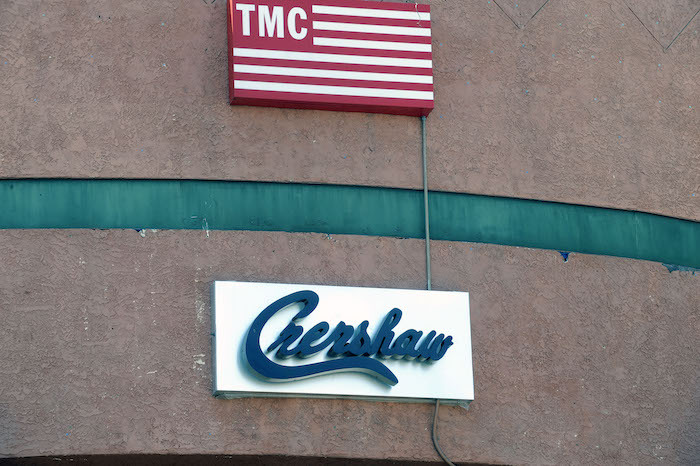 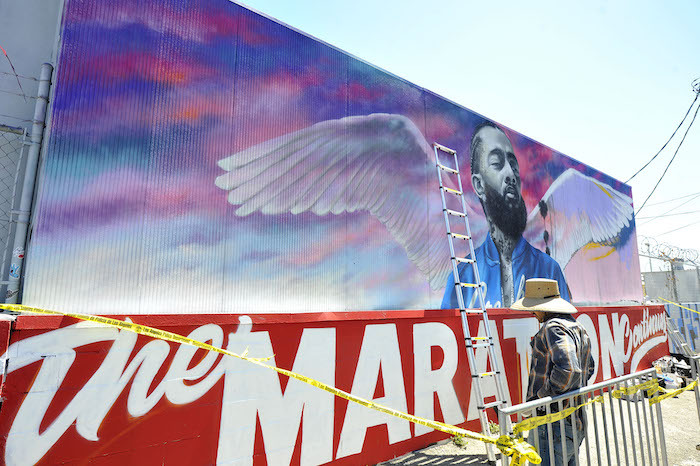 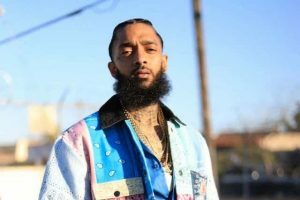 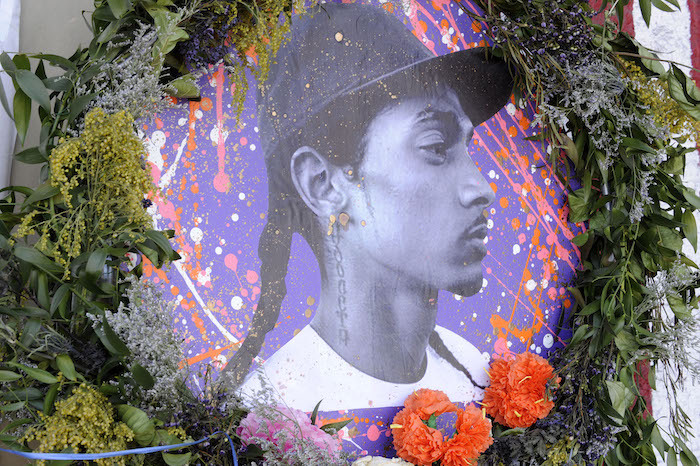 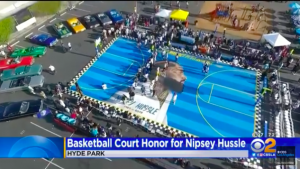 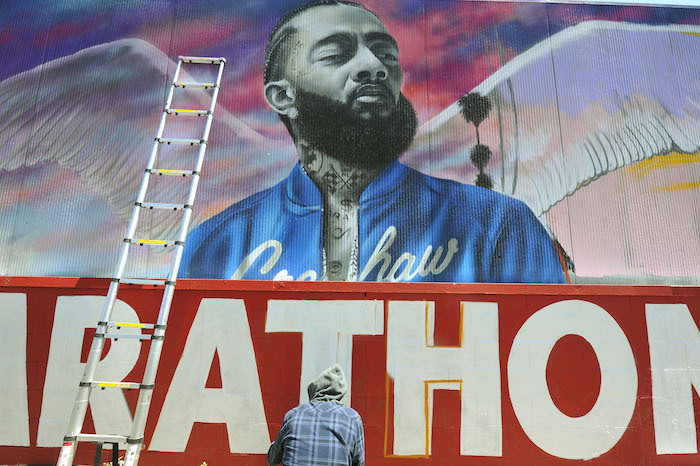 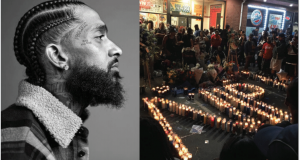 He saluted Nipsey Hussle for rising out of difficult circumstance to become a community builder. 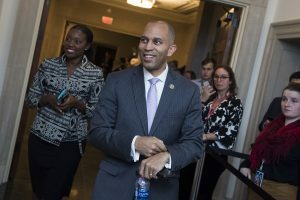 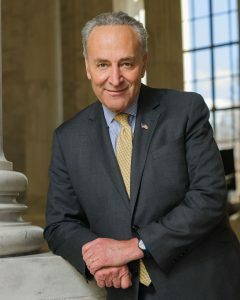 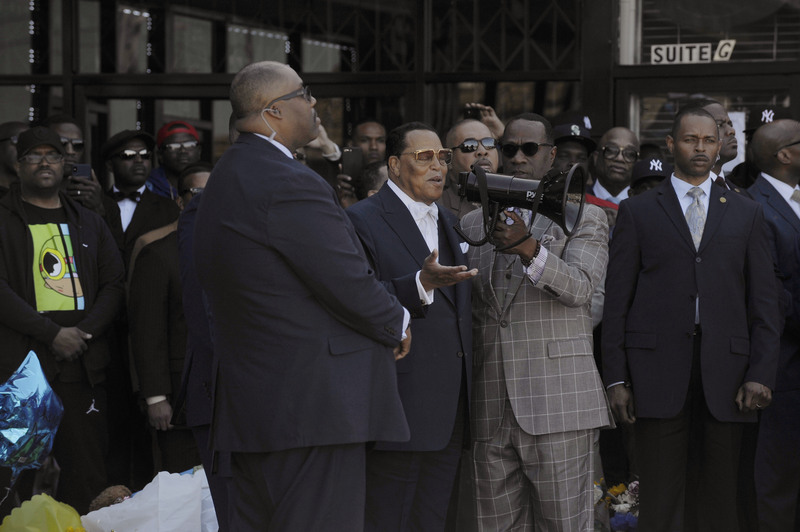 He saluted gang members for forging a peace treaty and urged them to strengthen that commitment, saying those who are the enemy of Black people are fearful of a peaceful, united community. 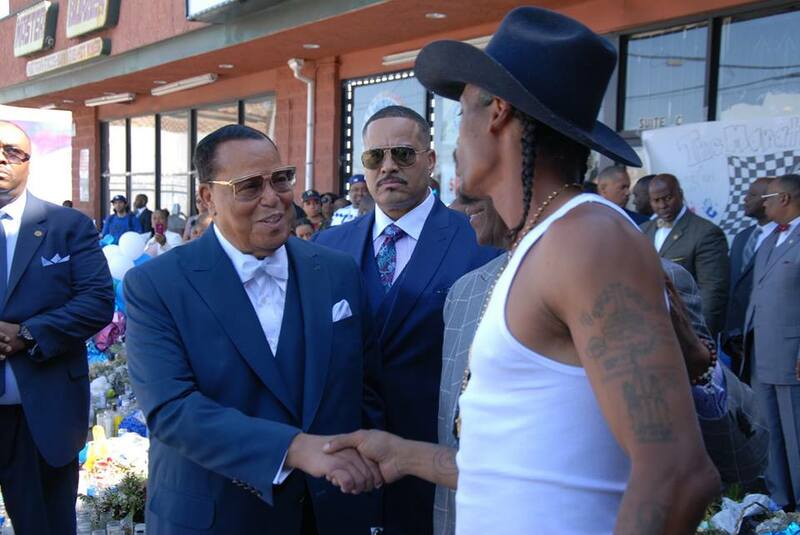 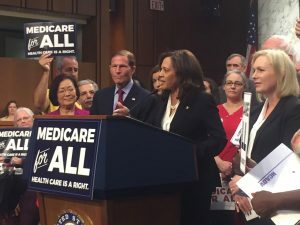 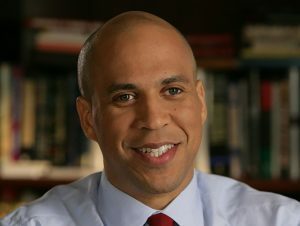 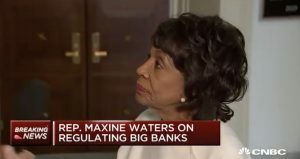 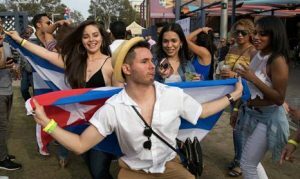 The Minister also called for unity between Blacks and Latinos, Blacks and Native Americans and Blacks and poor Whites. 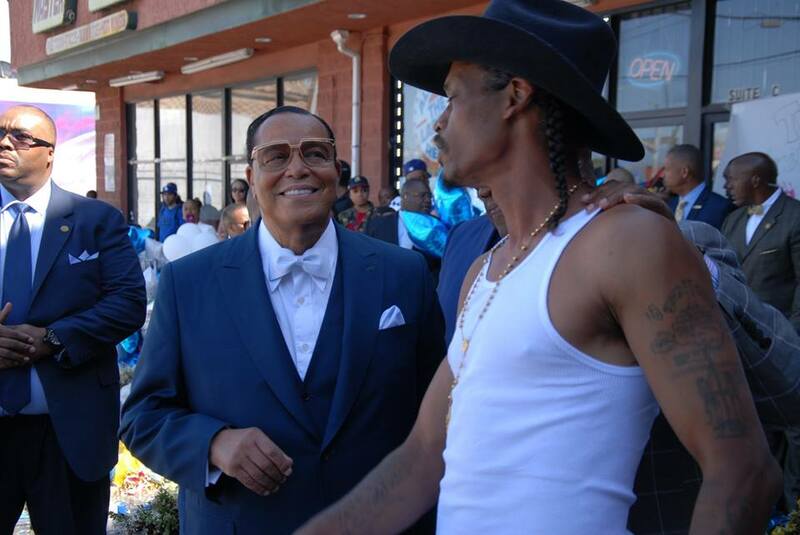 The is a small percentage of people who manipulate these groups and profit from it, he added. 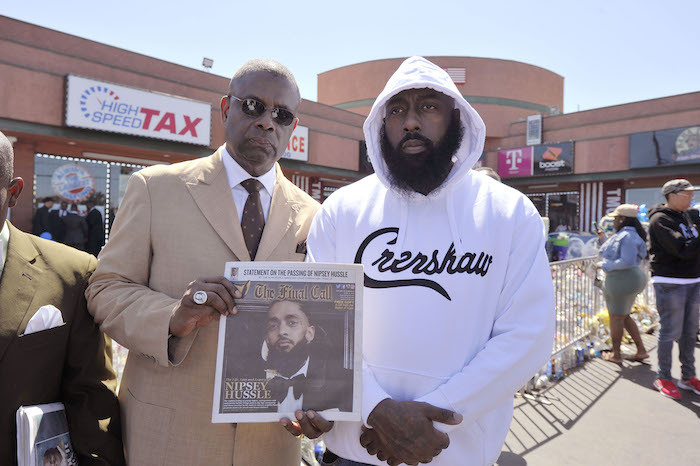 Min Farrakhan praised Tony Muhammad for his work with Nipsey Hussle and in the community. 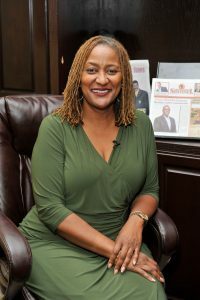 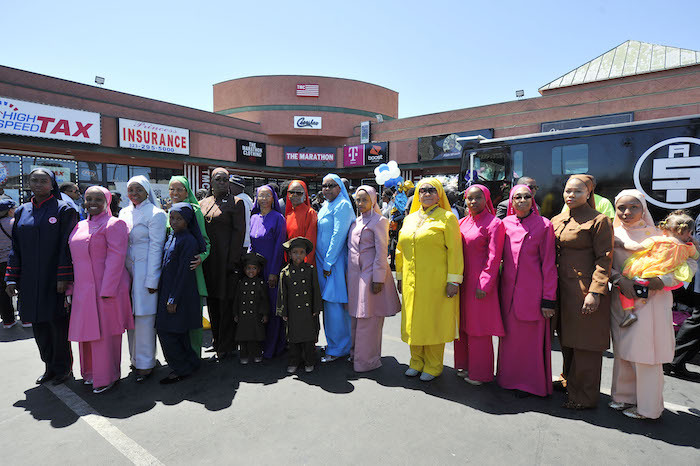 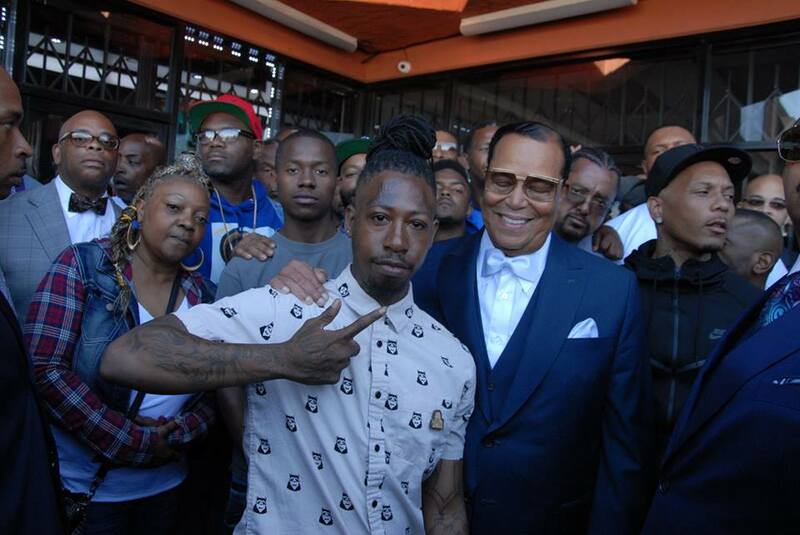 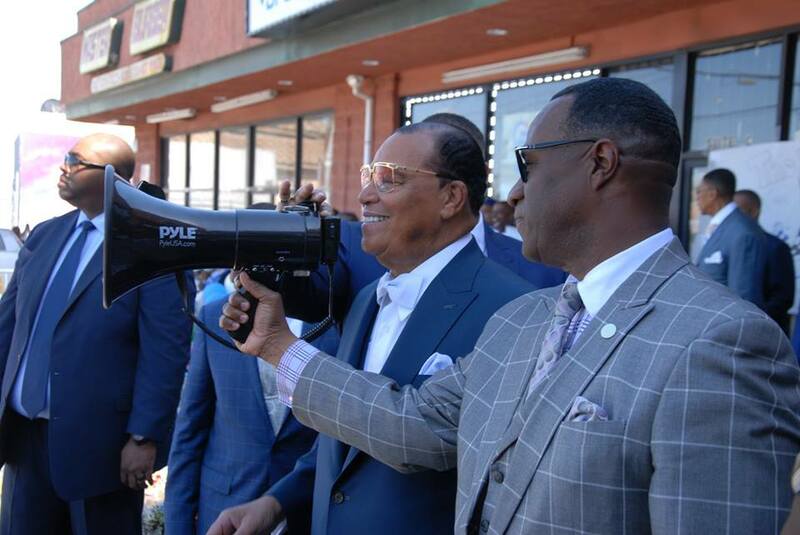 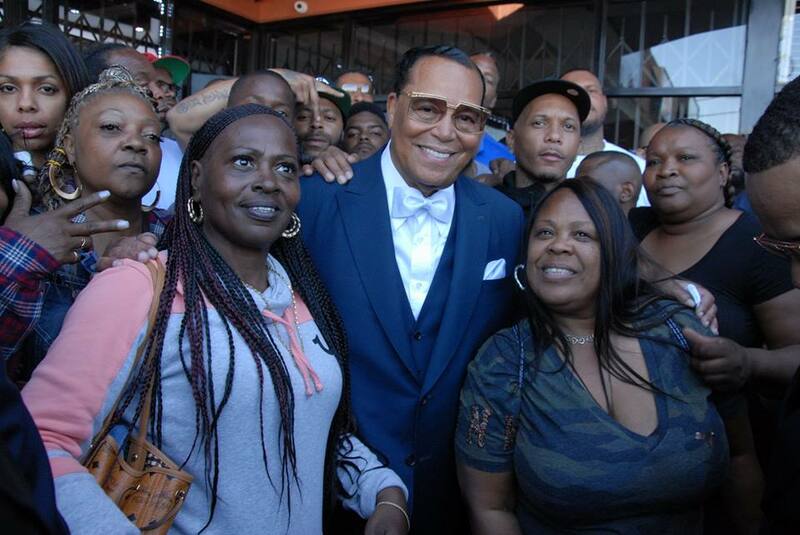 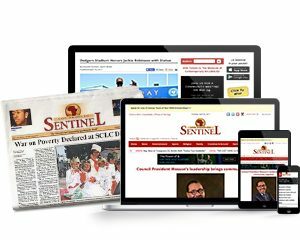 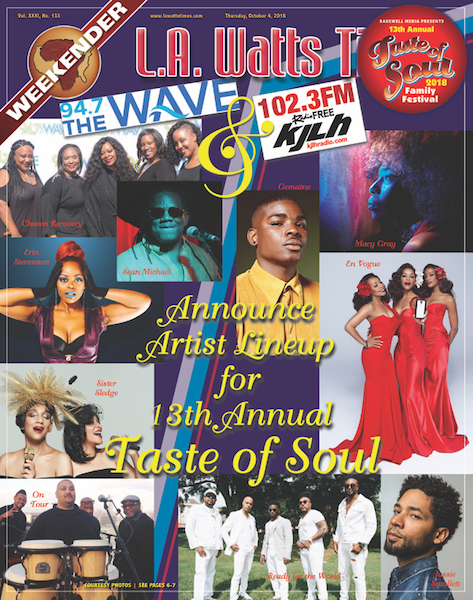 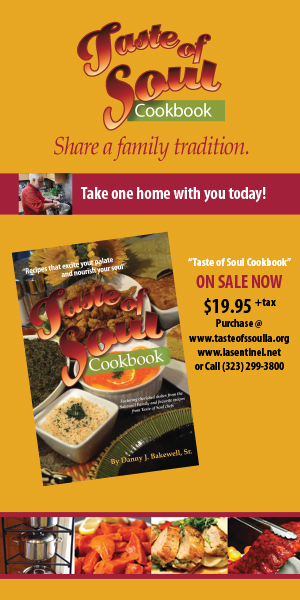 He was especially pleased at a recent salute to the slain son of South Central from the Nation of Islam in Los Angeles that featured Muslim men and women in uniform and was led by Tony Muhammad.